Hi! My name is Taylor and the many students I have worked with throughout my teaching career have known me simply as Mr. K. I have developed a reputation as a very charismatic and engaging teacher of both math and science, with an ability to bring even the most challenging concepts down to earth and into the student’s comfort zone. I received my Bachelor of Science degree in Materials Engineering from UC Davis, and I hold two current California teaching credentials, in Mathematics and Agriculture, with my graduate coursework in education completed at Brandman University. I have also passed the CSET exams in general science and physics, authorizing me to teach in California in those subject areas as well. Teaching has always been a passion for me and I have been tutoring for over 10 years, going back to my days as an undergraduate college student. I also have work experience in the aviation industry, but turned my career to teaching full time in 2014. I currently work for a charter academy in Northern California where I have the privilege of working with a small but tight-knit student body, which allows me to develop close working relationships with my students and really understand what each individual needs in order to be successful. I bring this approach to my tutoring work as well, involving ongoing goal-setting, assessment and feedback to ensure that I am adapting to the student and maximizing the returns from our sessions. In addition to my Engineering degree, I have completed a graduate program in Mathematics Education, earning a California single-subject teaching credential for secondary mathematics, which authorizes me to teach all middle-school and high school mathematics topics up through Calculus. I have four years experience teaching high school mathematics full-time, and I have taught Algebra 1, Algebra 2, Geometry, and AP Statistics during this time. I also have experience tutoring Calculus and advanced math subjects such as differential equations at the community college level. I am an expert in working with technology tools such as MS Excel, Desmos, and graphing calculators to bring students closer to the content and help them develop valuable skills. My engineering background and lifelong personal interest in science, combined with 4 years of science teaching experience, make me a highly qualified science tutor. I have also passed California’s rigorous CSET exams for teachers in general science and Physics, resulting in a statewide authorization to teach these subjects in middle school and high school classrooms. 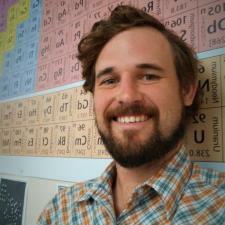 I am currently in my fourth year of teaching a University of California A-G approved high school Physics course, and I am in my first year of teaching a high school Ag Chemistry course. I always look forward to working with new students of all ages. Whatever your goals are, I am here to help you overcome your current challenges in math and science, big or small. Feel free to reach out to me at any time! Hi, I'm Mr. K. I am a lover of all things Math and Science, with 10 Years experience tutoring in many branches of Mathematics. I am fully credentialed in Math through Calculus, and I have taught AP Statistics in a high school setting for 2 years. As a former engineer, I know how important statistics is in today's world. I know how hard this course can be and I know how to adapt to my students and get them past the roadblocks! I hold a BS degree in Engineering from UC Davis as well as a current California single-subject teaching credential for secondary mathematics, which authorizes me to teach all middle-school and high school mathematics topics up through Calculus. I have four years experience teaching high school mathematics full-time, and I have taught Algebra 1, Algebra 2, Geometry, and AP Statistics during this time. I also have experience tutoring Calculus and advanced math subjects such as differential equations at the community college level. I am an expert in working with technology tools such as MS Excel, Desmos, and graphing calculators to bring students closer to the content and help them develop valuable skills. Hi, I'm Mr. K. I am a lover of all things Math and Science, with 10 Years experience tutoring in many branches of Mathematics, including Algebra 1. I am fully credentialed in Math through Calculus, and I have previously taught Algebra 1 in a high school setting for a total of 3 years. I know how hard this course can be and I know how to adapt to my students and get them past the roadblocks! Hi, I'm Mr. K. I am a lover of all things Math and Science, with 10 Years experience tutoring in many branches of Mathematics, including Algebra 2. I am fully credentialed in Math through Calculus, and I have taught Algebra 2 in a high school setting for 4 years. I know how hard this course can be and I know how to adapt to my students and get them past the roadblocks! Hi, I'm Mr. K. I am a lover of all things Math and Science, with 10 Years experience tutoring in many branches of Mathematics. I am fully credentialed in Math through Calculus, and I have previously taught Calculus in a high school setting. As a former engineer, I have plenty of firsthand experience with solving tough problems involving the applications of Calculus. I know how hard this course can be and I know how to adapt to my students and get them past the roadblocks! Hi, I'm Mr. K. I am a lover of all things Math and Science, with 10 Years experience tutoring in Chemistry, Physics, and Math. I am a fully credentialed Math and Ag Science teacher, with previous experience teaching both Chemistry and Physics in a high school setting. I know how tough Chem concepts can be to master and I know how to adapt to my students to get them past the roadblocks! I love to make simple analogies to cut through the technicalities and build up true understanding. Hi, I'm Mr. K. I am a lover of all things Math and Science, with 10 Years experience tutoring in many branches of Mathematics, including Geometry. I am fully credentialed in Math through Calculus, and I have taught Geometry in a high school setting for 4 years. I know how hard this course can be and I know how to adapt to my students and get them past the roadblocks! Hi, I'm Mr. K. I am a lover of all things Math and Science, with 10 Years experience tutoring in Chemistry, Physics, and Math. I am a fully credentialed Math and Ag Science teacher, with 4 years experience teaching Physics in a high school setting. I know how tough Physics concepts can be to master and I know how to adapt to my students to get them past the roadblocks! I love to make simple analogies to cut through the technicalities and build up true understanding. Hi, I'm Mr. K. I am a lover of all things Math and Science, with 10 Years experience tutoring in many branches of Mathematics, including PreAlgebra. I am fully credentialed in Math through Calculus, and I have taught in a high school setting for 4 years. I know how tough learning the concepts of Algebra can be, and I know how to adapt to my students to get them past the roadblocks! I hold a B.S. degree in Engineering from UC Davis as well as a current California single-subject teaching credential for secondary mathematics, which authorizes me to teach all middle-school and high school mathematics topics up through Calculus. I have four years experience teaching high school mathematics full-time, and I have taught Algebra 1, Algebra 2, Geometry, and AP Statistics during this time. I have just begun teaching a PreCalculus course this school year. I also have experience tutoring Calculus and advanced math subjects such as differential equations at the community college level. I am an expert in working with technology tools such as MS Excel, Desmos, and graphing calculators to bring students closer to the content and help them develop valuable skills. I hold a BS degree in Engineering from UC Davis as well as a current California single-subject teaching credential for secondary mathematics, which authorizes me to teach all middle-school and high school mathematics topics up through Calculus. I have four years experience teaching high school mathematics full-time, and I have taught Algebra 1, Algebra 2, Geometry, and AP Statistics during this time. In my Geometry and AP Stats courses, I give a thorough treatment of probability theory and probability distributions. I also have experience tutoring Calculus and advanced math subjects such as differential equations at the community college level. I am an expert in working with technology tools such as MS Excel, Desmos, and graphing calculators to bring students closer to the content and help them develop valuable skills. I hold a BS degree in Engineering from UC Davis as well as a current California single-subject teaching credential for secondary mathematics, which authorizes me to teach all middle-school and high school mathematics topics up through Calculus. I have four years experience teaching high school mathematics full-time, and I have taught Algebra 1, Algebra 2, Geometry, and AP Statistics during this time. In my Geometry course, I have always given a thorough treatment of the principles of trigonometry. I also have experience tutoring Calculus and advanced math subjects such as differential equations at the community college level. I am an expert in working with technology tools such as MS Excel, Desmos, and graphing calculators to bring students closer to the content and help them develop valuable skills. Taylor is always extremely helpfull and clearly explains the lesson to my daughter. As a result, my daughter earned 100% on her exam and is on point to complete AP Stats in her senior year of HS. Smart, patient, thorough, and caring. Taylor went in depth helping me with problems that I didn't understand. He made sure to write all of the steps for me. He showed me how to do the problems on the calculator. Taylor is very helpful and he made sure that I didn't have any questions about what he was teaching me. He works very well with my children. He is patient and thorough and takes time to explain. He is always accommodating with his schedule and able to reschedule when needed. Very helpful. My college kid has Statistics and felt that Taylor was patient and “knows his stuff”. We will use his help again soon. We’ll see what the test score is! Fingers crossed! Thank you. He put everything that was confusing me in the classroom and simplified it. Helped a lot with what I didn’t understand. My son said that Taylor taught him more in an hour and a half then he learned in the last month in his AP stat class. Taylor knows how to break down the concepts so they actually makes sense. I would highly recommend him to anyone who has AP stat, and we will continue using him until the AP exam is over. Taylor is a beast at math and science. Knew every question I asked immediately and was incredibly helpful and thorough. Already scheduled another session with him for my Science CSET coming up. Mr. K helped my son the night before his physics final with an awesome marathon study session to get him ready for the big test. Thank you for your perserverance and patience! Taylor is very patient and has helped my daughter with understanding her assignments and material in Chemistry and Algebra II. Her grades have significantly improved since Taylor has been working with her. We couldn't ask for a better tutor! Taylor did such an amazing job with helping me! Very quick while also being thorough. I was on a time crunch so it was nice that I was able to send him what I needed help with before. He had printed out everything and was prepared and ready for our tutoring session. It being my first time with this website I was amazed that Taylor was able to help me learn so much so quick!